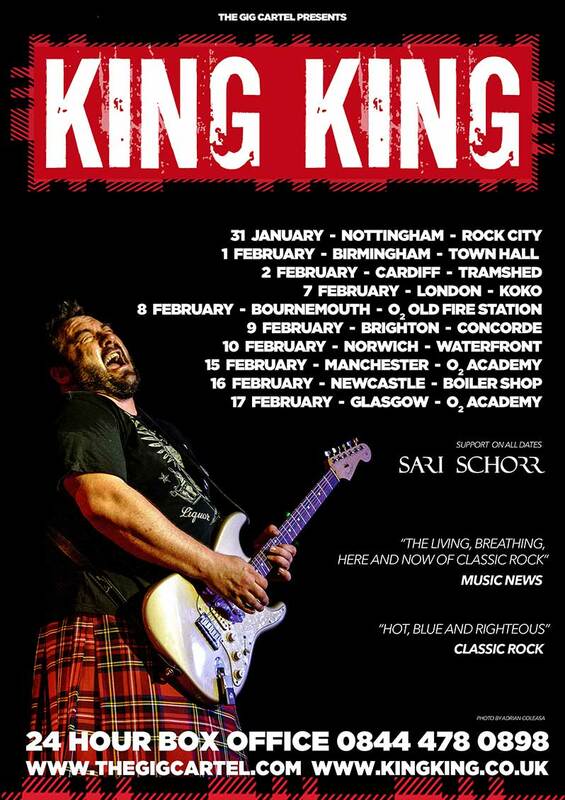 Currently on tour with Europe, King King are thrilled to announce their January/February 2019 UK Tour with special guest Sari Schorr. The 10-date tour will take in amongst others, Nottingham Rock City (January 31), London Koko (February 7) and Glasgow O2 Academy (February 17). Having played over 20 festivals this summer, last week the band finished the UK leg of their special guest slot on Europe’s Tour The Earth European 2018 tour and are currently touring the mainland leg of the tour. On 19th May 2018, King King won three prestigious awards at the FORM UK Blues Awards including Blues Band of the Year, Blues Songwriter of the Year (Alan Nimmo) and Blues Album of the Year (Exile & Grace).